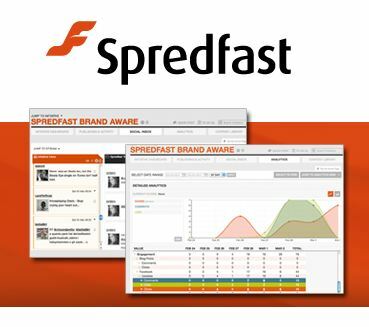 We’re excited to welcome Spredfast as a new sponsor. In addition to being part of the Social: IRL conference series, they will also work with us closely over the coming months to provide valuable content and learning opportunities, and of course to share more about the powerful Spredfast social media management platform. Check out some of the white papers and social media best practice resources already available on the Spredfast website. Spredfast was created to help companies “be great at social media management.” When the company was started in 2008, it was already clear how chaotic social media management could be. Since then, social has only gotten more important. It is now a primary channel for customer and market communications. Spredfast SCRM, a software as a service (SaaS) solution, was first introduced in 2010 – combining listening, publishing, managing and measuring social activity all from one system for the first time. The idea of Social CRM became a reality for marketers. Today, Spredfast works with companies and agencies of all shapes and sizes from around the world. The Spredfast Social CRM platform helps social media practitioners gain Social Advantage by monitoring, engaging, coordinating and integrating social media with one, robust application. You can learn more about Spredfast on CrunchBase, by visiting their website, or by connecting with them on Twitter or Facebook. Also, join Spredfast’s Director of Social Media Jordan Viator and Austin Lytle for one of their weekly webinars and learn how enterprises are using Spredfast to improve their social media programs. We’re excited to partner with Spredfast and are pleased to welcome them as part of the Social: IRL community.